This is a Dealer's Vehicle. All sales in the state of Illinois are Subject to Sales Tax, Title Fees, Registration and Documentary Fees of $161. Out of State Buyers Pay only $161 Doc. Fee. 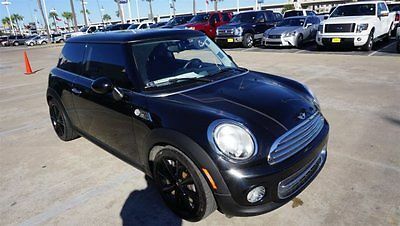 ***2011 Mini Cooper Countryman S ALL4 AWD 6-Speed Manual*** ***Very Clean Condition Inside and Out - Not a Speck of Rust on This Car*** ***One Owner Clean Carfax Very Well Maintained S Package*** ***Brand New Tires With Sport Black Wheels*** ***Drives Nice and Smooth - Engine is Quiet and Transmission Works Smooth*** ***Air Condition Blows Cold and Heat Works Great! *** If you have any questions, please call me at (224) 522 1947 Payment has to be Cash or Cashiers Check or Wire Transfer. Paypal is used for Deposit Only! All sales are final - NO RETURNS, NO EXCHANGES! Buyer is responsible for shipping of the vehicle. Deposit is non-refundable! David Mosley (770) 345-0282 918 Univeter Rd Canton Georgia 30115 ? ? ? ? 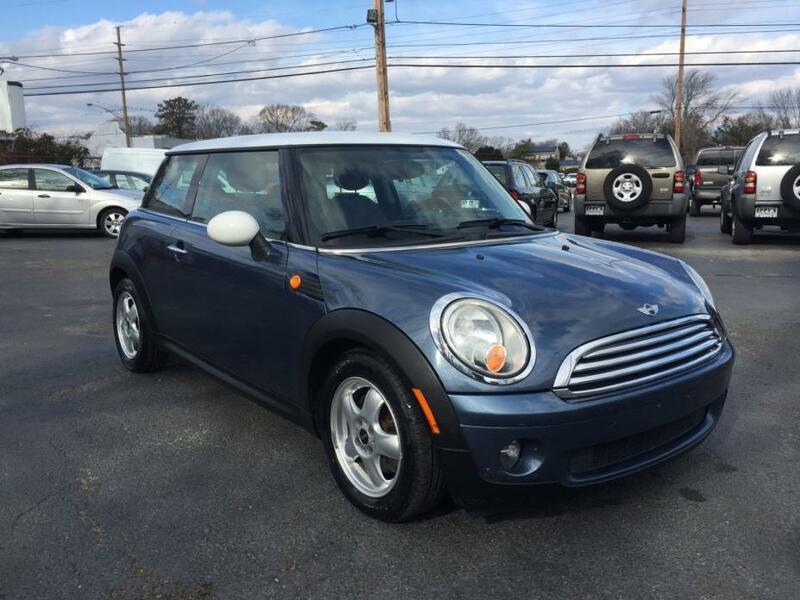 2007 MINI Cooper S Hatchback Vehicle Information VIN: WMWMF73587TL91646 Stock: 2219 Mileage: 46,475 Color: Sparkling Silver Metallic (A60) Trans: Auto Engine: 1.6l I-4 MPI OHC T/C 1.6l MPG: 29 City / 36 Highway Drivetrain: FWD ?Directions to Dealer ?Contact Us ? ? ? ? 1 of 79 ? View Large Images ? ? 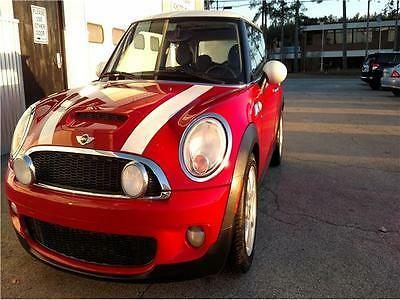 Description Super nice southern 1 owner 47k org mile Mini Cooper Turbo S with premium sport pkg! 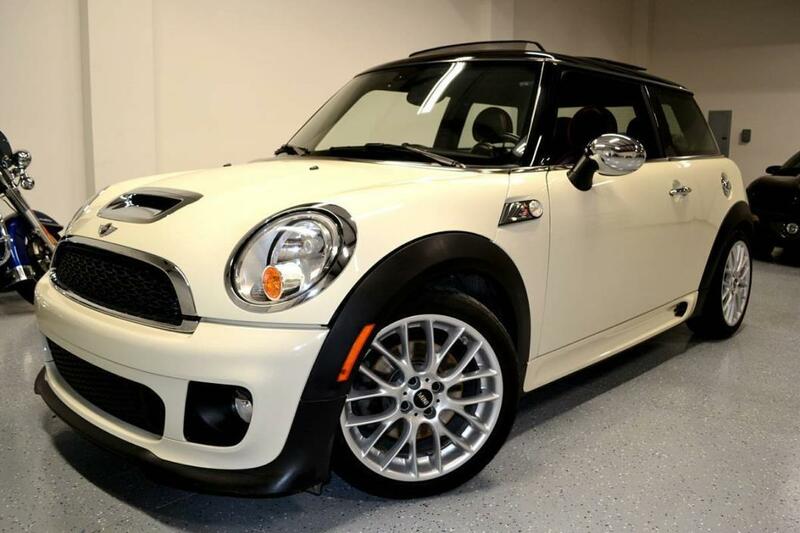 This gem is one sharp machine and is loaded with carbon leather style seats, panoramic power glass roof, cold weather pkg with heated seats, steering wheel audio controls, sport shift automatic with steering wheel mounted paddle shifters, all books and manuals and both sets of keys, rare Sparkling silver metallic with stripe pkg and black mirrors and roof, fog lamps, climate control ac, full power, cold ac, all weather floor mats and much more! This little fella will flat move and is one nice handling and performance car! 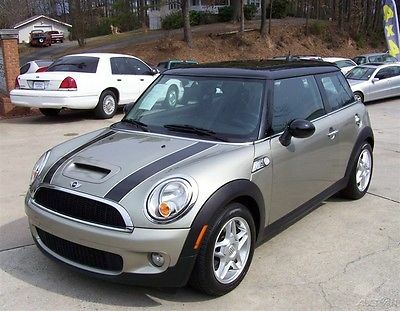 Mini was just at Mini of Kennesaw for inspection and had all recalls done and serviced see photos of repair order! Oil & filter change just done also at dealer. 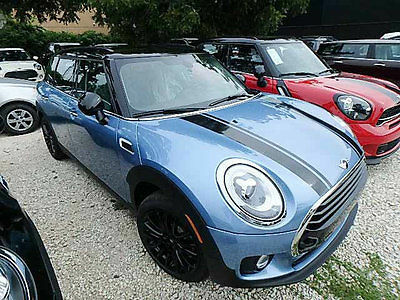 Mini just passed Georgia's strict emissions so your good to go there! 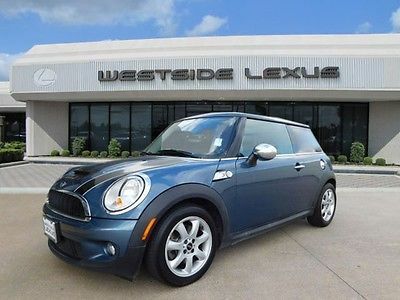 Mini is parked in our showroom it is that nice please call ahead to set up a time to check it out! See our other listings? CLICK THE LINK "SEE OUR OTHER LISTINGS" FOR MORE OF OUR ITEMS LISTED RIGHT NOW ON EBAY!? ***BE SURE TO SCROLL DOWN TO VIEW THE MANY PHOTOS ON THIS ONE! 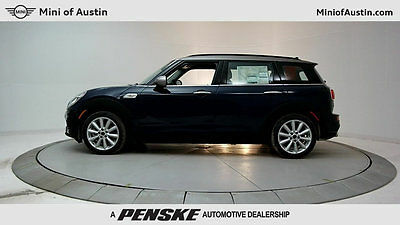 *** www.cherokeeautogroup.com This vehicle is loaded with features so check out the photos in ad! Also you can view our many other listings going on right now for more great finds by simply looking in my ebay store and clicking on the tab marked ebay store in the upper right hand of this listing! BUYING OVER THE INTERNET SHOULD BE A THRILL WHEN YOU HAVE THE RIGHT SOLID SELLER LIKE US... AND THE RIGHT VEHICLE! SO TO MAKE THIS LISTING INTERESTING & FUN.... WE LISTENED TO LOTS OUR CUSTOMERS! 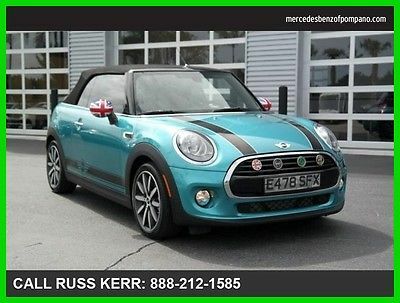 THEY LIKE THE WAY WE LIST OUR UNITS WITH A SIMPLE "BUY IT NOW" SO TO GO WITH TRADITION WE HAVE THIS NICE MINI & PRICED IT RIGHT AND MATCHES ITS QUALITY! IF YOU LIKE TO JACK AROUND BID FOR DAYS IN HOPES TO GET A DEAL AND CHASE A RESERVE BID ONLY TO LOUSE THE AUCTION TO ANOTHER BIDDER ON A UNIT YOU HAD TO HAVE! WELL THAT NOT GOING TO HAPPEN HERE. SIMPLY USE THE "BUY IT NOW" COMPLETE TRANSACTION AND SHE IS YOURS! WE FEEL THE NEW OWNER SHOULD LOVE THIS RARE UNIT! ANY QUESTIONS ON THAT CALL US TO DISCUSS AT DEALERSHIP 770-345-0282 ASK FOR DAVID MOSLEY! WE CAN ASSIST AND TAKE CARE OF SHIPPING THIS VEHICLE AT NEW OWNERS EXPENSE THRU-OUT USA AND WORLD WIDE WITH PROPER INFO AND HELP FROM INTERNATIONAL BUYERS JUST ASK AND WE CAN FACILITATE IT FOR NEW OWNER! PLEASE REALIZE WE ARE SHIPPING BROKERS AND WILL HANDLE THIS FOR NEW OWNER AS QUICKLY AS POSSIBLE! IF YOU ARE NEW TO EBAY OR HAVE POOR FEEDBACK PLEASE SUBMITTED YOUR CONTACT NUMBER BEFORE YOU BID SO WE CAN CALL YOU TO DISCUSS HOW YOU WILL COMPLETE TRANSACTION SHOULD YOU WIN AUCTION. ALSO REVIEW THE MANY PHOTOS ON THIS BABY I DO THIS UP FRONT UNLIKE COUNTLESS OTHER ADS YOU WILL COME ACROSS. THIS EFFORT IS MADE SO BUYER CAN MAKE A GOOD DECISION ON GETTING HER AND FEEL COMFORTABLE WITH THERE PURCHASE. 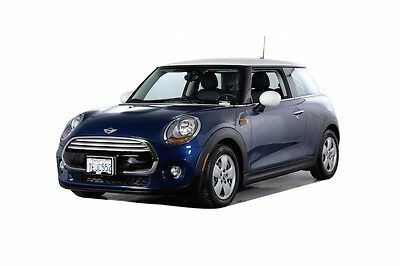 I WILL PUT IN THIS DISCLAIMER FOR THE 1 PER-CENTER NUT'S THAT THINK THEY ARE BUYING A BRAND NEW VEHICLE THIS MINI IS IN GOOD CLEAN WELL KEPT SHAPE AS YOU COULD ASK BUT PLEASE REALIZE IT HAS BEEN DRIVEN 47K AND IS 10 YEARS OLD. A SCUFF, MARK, SCRATCH, FADE, AGE, USE, FLAW OR OTHER MINOR WEAR IS EXPECTED. PLEASE REVIEW MY FEEDBACK AND SEE I HAVE SOLD OTHER HIGH DOLLAR ITEMS AND NOT A BOX OF KLEENEX OR WAX CANDLES AND TELL IT LIKE IT IS FOR NO DISAPPOINTMENTS. PEOPLE ARE PLEASED WITH MY REPRESENTATION PERIOD. PLEASE ASK YOURSELF A QUESTION WHY FIX UP AN OLD SLED VEHICLE WHEN YOU CAN ENJOY AND DRIVE THIS ONE NOW AND SAVE BIG IT DOES MAKE SENSE! WITH THIS ONE BEING SOLID NICE AND CLEAN! MAKE IT ONE TO SNAP UP SHOULD NOT LAST LONG AT THIS DEAL. The previous owner was a non-smoker. This shows to have been a looked after garaged vehicle its hard to duplicate Love and care and this is one of those units! The engine on this vehicle is running well and feels strong. 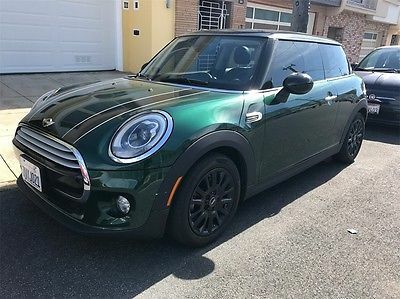 The exterior finish on this Mini is clean and body is straight. The interior is in good condition and leather style seats are soft many of these interiors are beat down and destroyed....but not this one! The seats look good and sit nice and it shows to have had a ez life. There is approximately 90% of the tire tread remaining on the match set. This vehicle has a smooth shifting transmission. Take a moment to visit my ebay store by clicking on the tab in top right of this listing to see the many other vehicles we have listed right now on ebay! If you are over 200 miles from our zip code 30115 some of our local classified ebay listings will not show so you can use the advanced search tab on ebay and search dealer vehicles closest to zip code 30115! 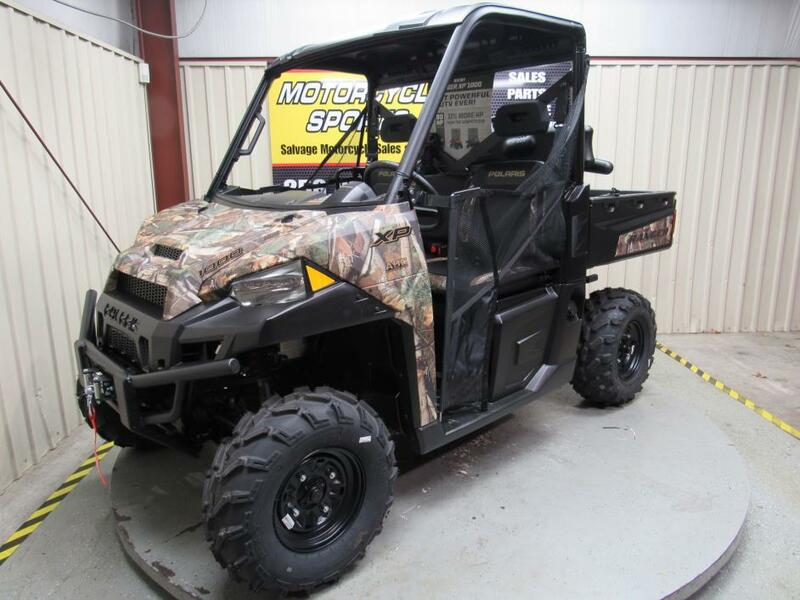 If you have any questions about this or any of my other auctions please feel free to contact me via e-mail or you can call us for a quicker response on our local # 770-345-0282. Thank you for your interest and we look forward to hearing from you you can ask for David Mosley or Danny Ryder! www.cherokeeautogroup.com Canton Georgia ?Directions to Dealer ?Contact Us Options and Standard Features Basic Information Stock Number: 2219 VIN Number: WMWMF73587TL91646 Style Name: Hatchback Make: MINI Model: Cooper S Model Year: 2007 Vehicle Type: Hatchback Exterior Color: Sparkling Silver Metallic (A60) Body Type: Hatchback Engine Compressor: Intercooled Turbo MPG Automatic City: 29 MPG Automatic Highway: 36 Engine Description: 1.6L I-4 MPI OHC T/C 1.6L Fuel Type: Gasoline Fuel Induction: Direct Gasoline Injection Valves Per Cylinder: 4 Aspiration: Turbocharged DriveTrain Driven Wheels: Front-Wheel Transmission: Auto Wheels Rims: Silver Aluminum Drive Train Type: FWD Suspension Independent Suspension: Four-Wheel Stabilizer Bar: Front And Rear Instrumentation Clock External Temp Low Fuel Level Tachometer Trip Computer Roof and Glass Front Wipers: Variable Intermittent Privacy Glass: Light Rear Defogger Rear Wiper: Fixed Interval In Car Entertainment Antenna Type: Integrated Roof Audio System: AM/FM/Satellite-Prep Speakers: 6 Seats Drivers Height: Manual Passenger Height: Manual Seating Capacity: 4 Front Seat Type: Sport Upholstery: Leatherette Folding: Fold Forward Seatback Convenience Center Console: Full With Storage Cupholders: Front And Rear Door Pockets: Driver And Passenger Overhead Console: Mini Power Outlets: 2 Seatback Storage: 2 Steering Adjustment: Tilt And Telescopic Steering Power: Speed-Proportional Electric Power Steering Power Mirrors: Power Remote Power Door Locks Windows: Power Windows Comfort Air Conditioning: Manual Air Filtration: Interior Air Filtration Trunk Lights: Cargo Area Light Dash Trim: Metal-Look Door Trim: Metal-Look Reading Lights: Front Shift Knob: Leatherette Steering Wheel Trim: Leather/Metal-Look Vanity Mirrors: Dual Illuminated Vanity Mirrors Features Aux Engine Cooler: Regular Duty Bumpers: Body-Colored Door Reinforcement: Side-Impact Door Beam Safety Turning Circle: 35 ABS: 4-Wheel Head Airbags: Curtain 1St And 2Nd Row Anti Theft System: Pre-Wiring Brake Assist: Braking Assist Daytime Running Light Engine Immobilizer Headlights Auto Delay: Auto Delay Off Front Headrests: Manual Adjustable Rear Headrests: 2 Driver and Passenger Airbag Side Airbag Door Reinforcement: Side-Impact Door Beam Towing and Hauling Tie Downs: Cargo Tie Downs Doors Rear Door Type: Liftgate Dimensions Front Head Room: 38.8 Inches Front Shoulder Room: 50.3 Inches Front Leg Room: 41.7 Inches Rear Head Room: 37.6 Inches Rear Leg Room: 27.9 Inches Rear Shoulder Room: 44.7 Inches Luggage Capacity: 6 Cu.Ft. Length: 146.2 Inches Width: 66.3 Inches Height: 55.4 Inches Wheelbase: 97.1 Inches Ground Clearance: 5.1 Inches Max Gross Vehicle Weight: 3,483 Lbs. Curb Weight: 2,668 Lbs. Contact Cherokee Auto Group 918 Univeter Rd Canton Georgia 30115 View Map Ask for:David Mosley Contact: ?Contact Us Primary Phone:(770) 345-0282 Hours Mon-Fri:10:00 AM-06:00 PM EST Saturday:10:00 AM-04:00 PM EST Sunday:Closed Terms WarrantyAS IS - NO WARRANTY This vehicle is being sold as is, where is with no warranty, expressed written or implied. The seller shall not be responsible for the correct description, authenticity, genuineness, or defects herein, and makes no warranty in connection therewith. No allowance or set aside will be made on account of any incorrectness, imperfection, defect or damage. Any descriptions or representations are for identification purposes only and are not to be construed as a warranty of any type. Please realize you are buying a used vehicle and repairs will be part of your ownership and not our responsibility or liability to help you with these costs no matter when and if they happen. It is the responsibility of the buyer to have thoroughly inspected the vehicle, and to have satisfied himself or herself as to the condition and value and to bid or buy based upon that judgement solely. Any 3rd party inspections will be done at sellers location before auction or listing close. Seller assumes no responsibility for any repairs regardless of any oral statements about the vehicle. These statements intend to cover the many methods that a very small minority of buyers may could use to try to take advantage of our ethical business practices if not covered up front. Buyer of this vehicle agrees to the terms of this as-is sale buy bidding or buying. About Us We love vehicles! No matter if it goes by land, sea or air we are into them! This business is truly our passion and I thank the good lord above we are doing what we love! It just does not get any better really enjoying your job! We do things quite differently. We are not just your typical dealer with a small patch of gravel and mobile office! We have a state of the art 11000 square foot dealership with an indoor showroom and are very customer service friendly! We have over 20 years experience in the automotive industry so we know how to take care of customers and details and through the process treat you right just give us a try and see! We are here to stay and not some fly by night sled runners!Terms & Conditions If you are new to eBay and have a 0 next to your user name or if you have bad feedback please contact us before you bid with your intentions and full contact info so we can be assured you are familiar with on line bidding and assure us you realize you are bidding to purchase. If you choose not to do this we have no choice but to remove and block you from bidding. We fully realize we have to start somewhere feedback wise and there are bumps in the road. So if you are a reasonable person you will know where we are coming from so please comply and do as we ask. Winning bidder please contact us within 24 hours of auction end and let us know how and when you plan to handle completing your purchase. We do not guarantee any other state/providence inspections required by your DMV other than the ones required by our state of Georgia. It would be very unrealistic for you the buyer to assume that we have knowledge of your States/Providences inspection requirements. $500.00 non refundable deposit is due within 24 hours of end of auction. Pay Pal is preferred but you can easily over night a verifiable cashiers check or money order. The remainder is due within 5 days of auction end. If no contact is made within 24 hours we reserve the right to re-list the vehicle, sell it to the next high bidder, or sell it otherwise. Something you should be aware of! Most banks and credit unions do not finance vehicles older than 2002's or with more than 100K miles. However a lot of lenders may loan the money on you and not just the vehicle if you have a good relationship with them but please do us all a favor and make sure if financing your purchase that your financial institution accepts you the vehicle, year and miles of this unit before bidding that all should be understood but please get all that squared away prior to bidding. Buyer is responsible for pickup or shipping of this vehicle. She is located in Canton Ga 30115. We can keep vehicle at our location for up to two weeks at after sale date if you need longer than this time we will try to work with you. If no pre arrangement has been made there will be a $20 per day storage fee added after this time. If you wish to have it shipped using a service, we will gladly cooperate with your shipper on a time that's good for them and us! We deal with shippers all the time and know how to get the pick up squared away and yes a large 18 wheeler can access our facility. You can get a shipping quote by contacting us and we can arrange shipping for you! If you are not sure about something, please ask! Do not assume anything not listed is included. We reserve the right to cancel bids for excessive negative feedback. We reserve the right to end the listing if the vehicle is no longer available for sale. Please do not bid on this auction unless you are serious about owning this vehicle. We are very familiar with the laws about on line bidding so you know this is a legally binding contract and non paying bidders will be held responsible in case of an auction default and the costs incurred, and negative feedback will be posted. Any disputes over this transaction will be handled thru a third party binding arbitration in Cherokee County Georgia. Winning bidder agrees to our terms and conditions by bidding on this auction. Fees and Tax Information: We are a licensed and bonded Georgia dealer. As of March 1st 2013 no matter if you purchase a vehicle from an individual or dealer and you are a Georgia residence and vehicle will be reg in Georgia you the buyer are required to pay the new TAVT "Title Ad Valorem Tax" this fee is based on the vehicles 7% percentage value that the Department of Revenues est value.... here is a link for you to calculate the TAVT amount. http://onlinemvd.dor.ga.gov/TAP/vinnumber.aspx Titled motor vehicles purchased will be exempt from sales tax and the annual ad valorem tax. Instead, these vehicles will be subject to a new TAVT that is based on the value of the vehicle as outlined above. We can also provide a 30 day temp tag at no charge! We are required by Georgia dmv to process your title for Georgia residence in your name so please have a current Georgia license with a good address so you will receive title from state the fee the state charges is 18.00 for this. A 25.00 emissions fee will be added for Georgia residents only when required if you live in an emission required county. We have a 169.50 document fee this also includes a temporary 30 day tag! The document fee is for everyone including dealers added to all final winning auctions once res is met or accepted price that is less than our locally advertised price! Out of state buyers will pay their own tax's and fees in there own state. The 169.50 document fee will be included in our advertised listed pricing and "buy it now" eBay price. We do not collect other states tax or fees, that is something you will take care of when you reg and title your new ride! So all out of state buyers are required to pay is winning auction price and document fee that includes 30 day temporary tag as stated above. Also here is some helpful links for CANADA BUYERS! Please visit the following helpful links to assist you with importing your vehicle: http://www.riv.ca/english/html/how_to_import.html http://www.riv.ca/english/html/us_vehicle_admissibility.html Copyright © 2017 Auction123 - All rights reserved. - Disclaimer +- Auction123 (a service and listing/software company) and the Seller has done his/her best to disclose the equipment/condition of this vehicle/purchase. However, Auction123 disclaims any warranty as to the accuracy or to the working condition of the vehicle/equipment listed. The purchaser or prospective purchaser should verify with the Seller the accuracy of all the information listed within this ad. Selling a Vehicle? Create Professional Listings Fast and Easy. Click Here! 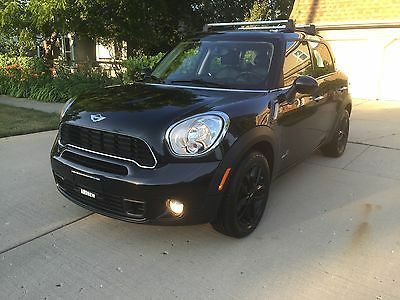 2013 MINI COOPER HARDTOP S TURBO JOHN COOPER WORKS EDITION. This vehicle is like new with only 36k original miles. 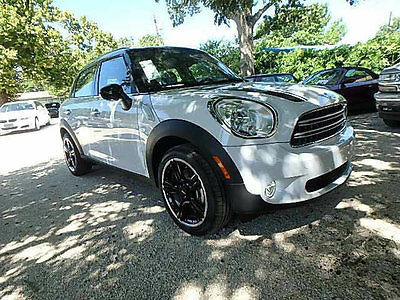 Options include: automatic transmission, leather interior, panoramic sunroof and John Cooper Works S turbocharged. No dings or dents, scratches or tears. Nada clean retail is $23,650. Car will be sold with both sets of keys, fobs. Call Carlos at (904)614-9387 with serious inquiries. Partial trades considered. Russ Kerr (888) 212-1585 350 West Copans Road Pompano Beach Florida 33064 ? ? ? ? Contact Mercedes-Benz of Pompano 350 West Copans Road Pompano Beach Florida 33064 View Map Ask for:Russ Kerr Contact: ?Contact Us Phone:(888) 212-1585 Fax:(866) 386-6062 Hours Mon-Sun:09:00 AM-08:00 PM EST Call or Email OR MB Pompano ANY QUESTIONS, TO MAKE AN OFFER OR IF WANT TO COME IN TO LOOK AT THE VEHICLE, PLEASE CALL- RUSS KERR INTERNET MANAGER888-212-1585 Inspections are not just suggested but recommended. PLEASE READ all terms of sale, below the pictures, before making an offer or placing a Buy it Now. Why Mercedes-Benz of Pompano Inspection, Repairs, CARFAX and Options CARFAX Vehicle History Report VEHICLE HISTORY REPORTS Dont buy a used car without CARFAX! ?CARFAX 1-Owner ?Vehicle Qualifies for the CARFAX Buyback Guarantee ?No Total Loss Reported to CARFAX ?No Structural/Frame Damage Reported to CARFAX ?No Airbag Deployment Reported to CARFAX ?No Indication of an Odometer Rollback ?No Accidents / Damage Reported to CARFAX ?No Manufacturer Recalls Reported to CARFAX View Free History Report Disclaimer: Not all accidents or other issues are reported to CARFAX. The number of owners is estimated. See the full CARFAX Report for additional information and glossary of terms. ? ? Options and Standard Features Options ? Malt Brown; Chesterfield Leather Upholstery ? Leather Seats ? Electric Blue Metallic Basic Information Stock Number: G3C19261 VIN Number: WMWWG5C5XG3C19261 Style Name: Cooper Make: MINI Model: Convertible Model Year: 2016 Vehicle Type: Convertible Vehicle Trim: Cooper Body Type: Convertible Exterior Color: Electric Blue Metallic Interior Color: Malt Brown Engine Compressor: Intercooled Turbo MPG Manual City: 27 MPG Manual Highway: 38 Engine Description: 1.5L 3 Cylinder Engine Turbocharged Fuel Type: Gasoline Fuel Induction: Direct Gasoline Injection Valves Per Cylinder: 4 Aspiration: Turbocharged DriveTrain Driven Wheels: Front-Wheel Transmission: Manual Wheels Rims: Silver Aluminum Wheels Spare Rim Type: Steel Drive Train Type: Front Wheel Drive Suspension Independent Suspension: Four-Wheel Stabilizer Bar: Front And Rear Instrumentation Clock External Temp Low Fuel Level Tachometer Trip Computer Roof and Glass Convertible Roof: Power Convertible Window: Glass Rear Window Front Wipers: Variable Intermittent Privacy Glass: Light Rear Defogger Rear Wiper: Fixed Interval In Car Entertainment Antenna Type: Fixed Audio System: AM/FM/Satellite-Prep Speakers: 6 Seats Drivers Height: Manual Passenger Height: Manual Seating Capacity: 4 Front Seat Type: Bucket Upholstery: Leatherette Folding: Fold Forward Seatback Convenience Center Console: Full With Storage Cruise Control Cupholders: Front And Rear Door Pockets: Driver And Passenger Overhead Console: Mini Power Outlets Seatback Storage: 2 Steering Adjustment: Tilt And Telescopic Steering Power: Speed-Proportional Electric Power Steering Power Mirrors: Power Remote Power Door Locks Windows: Power Windows Comfort Air Conditioning: Automatic Air Filtration: Interior Air Filtration Trunk Lights: Cargo Area Light Dash Trim: Metal-Look Door Trim: Metal-Look Mats: Carpet Front And Rear Reading Lights: Front Shift Knob: Leatherette Steering Wheel Trim: Leather Vanity Mirrors: Dual Illuminated Vanity Mirrors Features Bumpers: Body-Colored Door Reinforcement: Side-Impact Door Beam Safety Turning Circle: 35.4 ABS: 4-Wheel Brake Assist: Braking Assist Daytime Running Light Engine Immobilizer Headlights Auto Delay: Auto Delay Off Headlights Dusksensor: Dusk Sensing Front Headrests: Manual Adjustable Rear Headrests: 2 Safety Stability Control Driver and Passenger Airbag Side Airbag Stability Control Door Reinforcement: Side-Impact Door Beam Towing and Hauling Tie Downs: Cargo Tie Downs Doors Rear Door Type: Tailgate Dimensions Front Head Room: 39.8 Inches Front Shoulder Room: 51.0 Inches Front Leg Room: 41.4 Inches Rear Head Room: 39.0 Inches Rear Leg Room: 30.9 Inches Rear Shoulder Room: 39.7 Inches Luggage Capacity: 6 Cu.Ft. Length: 151.1 Inches Width: 68.0 Inches Height: 55.7 Inches Wheelbase: 98.2 Inches Max Gross Vehicle Weight: 3,691 Lbs. Curb Weight: 2,855 Lbs. ? Apply Now Secure Credit Application Applying for a vehicle loan online is one of the quickest and easiest application methods. Our secure application is easy to complete, all you need are a few personal and employment details. ?Credit Application ?Directions to Dealer ?Contact Us Terms General Disclaimer: Subject to prior sale. Quoted price subject to change without notice to correct errors or omissions. Dealer service/document fee of $699.95 is not included in quoted price. Tax, tag, and registration fees not included. Placing a Bid: Your bid constitutes a legally binding contract to purchase this vehicle. Please do not bid if you're not seriously interested or financially able to purchase this vehicle. Please read eBay's User Agreement Mercedes-Benz of Pompano reserves the right to, Obtain and verify the registered information of all users who bid on this auction. Cancel any and all bids at our discretion, or end the auction early if necessary. Bidders Age: You must be 18 years of age or older to Bid. Special eBay Bid Retraction Rules: Please read eBay's "Retracting a Bid" If you place a bid before the last 12-hour period of the auction: You may retract that bid before that last 12-hour period but only for exceptional circumstances. You will not be allowed to retract that bid during the last 12-hour period of the auction. If you place a bid during the last 12-hour period of the auction: You will be allowed to retract the bid for exceptional circumstances but only if you do so within one hour after placing the bid. Funds & Financing: For help in arranging for a Pre-Approved loan or for any questions please e-mail or phone Russ Kerr. Buyers Inspection: Mercedes-Benz of Pompano has done our best to disclose all information known about this vehicle for auction. Mercedes-Benz of Pompano welcomes a buyers inspection. If you plan to have a buyers inspection, please make sure you inspect the vehicle prior to the auction ending. Inspection fees if any are Buyers responsibility. Representations and Warranties made by seller: This vehicle is being sold "as is". Manufacturers warranties and or CPO warranties may still apply. Extended warranty may be available, e-mail or phone Russ Kerr for details. No representations or warranties are made by seller, nor are any representations or warranties relied upon by bidders in making bids. Taxes and Registration fees: Out of state buyers are responsible for all state, county, city taxes and fees, as well as title service fees in the state that the vehicle will be registered. All taxes and fees must be paid in full in order for vehicle to be titled and registered. Title Information: Vehicles titles may be held by banks or lenders as collateral for loans. In many cases there is a delay in receiving the original instruments up to 21 days from the time we pay a vehicle off. While we usually have all titles in our possession at closing, there are occasions where we may be waiting for them to arrive. Shipping & Delivery: All shipping charges are buyer's responsibility. Mercedes-Benz of Pompano will help with shipping arrangements but will not be responsible in any way for claims arising from shipping damage! Licensed Carriers are generally insured for $3,000,000.00. We assume no responsibility for damages incurred after the vehicle leaves our showroom. All shipping arrangements are provided by Mercedes-Benz of Pompano as a courtesy. We are not affiliated with any carrier. Any claims or other communication regarding shipment of vehicles will be between you and the shipper, not with Mercedes-Benz of Pompano. The amount of time it takes for delivery is dependent on the carrier, but is generally 7-14 days from the date the vehicle is picked up from our facility until it is delivered to your destination. Verify with the shipper for an Estimate Time of Arrival to be sure. Finalizing your Purchase: Mercedes-Benz of Pompano will contact the successful high bidder by e-mail or phone after the auction closes. Successful high bidder MUST communicate with The Internet Department at Mercedes-Benz of Pompano by e-mail or phone within 24 hours of the auction ending to make arrangements to complete their transaction. If we cannot confirm your intention to buy or the sale is not completed within 5 days, we reserve the right to re-list this vehicle or sell to any other qualified buyer. In order to secure bid on vehicle, successful bidder (BUYER) must within 48 hours of bid closing send to Seller a minimum Deposit in the amount of $500 by major credit card, cash, bank wire or Paypal in US funds. Within 5 days of bid closing, Buyer must send balance of funds by bank wire transfer, cash in person or from a mutually agreeable Draft from a Finance Institution to Seller. At time of sending initial deposit, Buyer MUST fax copy of their State issued valid Driver License. Furthermore, before said vehicle is released for shipment to Buyer, all other Sale related and title related paperwork must be signed and returned complete to Seller. Disclaimers Accessories & color may vary. Dealer not responsible for errors or omissions. New vehicle pricing may already include applicable manufacturer incentives which may expire at any time & are subject to incentive qualification criteria & requirements. Manufacturer incentive data & vehicle features is provided by third parties & believed to be accurate as of the time of publication. Please contact the store by email or phone for details & availability of incentives. Sales tax or other taxes, tag, title, registration fees, government fees, not included. $699.95 Dealer Service Fee not included in quoted price. Some used vehicles may have unrepaired safety recalls. You can check recall status by VIN, at www.safercar.gov. Money Back Guarantee, 3 days or 150 miles, whichever comes first. Subject to certain terms & conditions. See store for details. Some restrictions apply. Visit Our eBay Store Financing Copyright © 2017 Auction123 - All rights reserved. - Disclaimer +- Auction123 (a service and listing/software company) and the Seller has done his/her best to disclose the equipment/condition of this vehicle/purchase. However, Auction123 disclaims any warranty as to the accuracy or to the working condition of the vehicle/equipment listed. The purchaser or prospective purchaser should verify with the Seller the accuracy of all the information listed within this ad. Selling a Vehicle? Create Professional Listings Fast and Easy. Click Here! 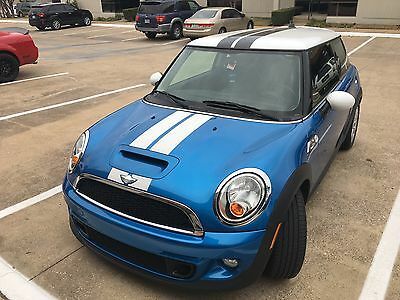 I am selling my 2012 Mini Cooper S Hardtop. It has an automatic transmission and only 43040 miles on it. Title is clean and clear. The car is in excellent condition and runs perfectly. The stripes on the hood do have some cracking but can be removed or replaced easily. The interior of the car is in excellent condition as well. Heat and A/C Work, Car is equipped with CD/MP3/Bluetooth entertainment center. If you have any questions please do not hesitate to contact me.